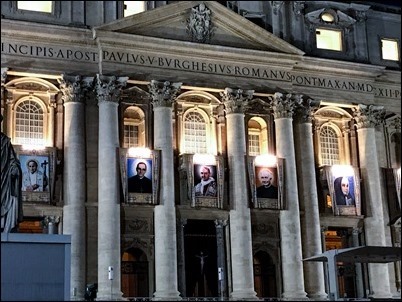 This past weekend, I was in Rome to be present as the Holy Father canonized a number of new saints, perhaps the most notable of whom were Pope Paul VI and Archbishop Oscar Romero. 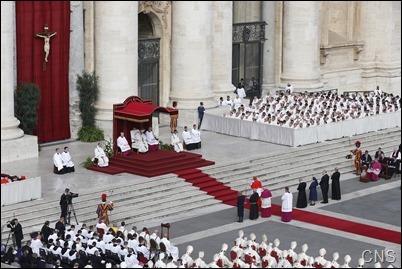 This was a very special canonization for me because Pope Paul was the first pope I ever met and I was with him on a number of occasions, particularly when he met with the Capuchins. 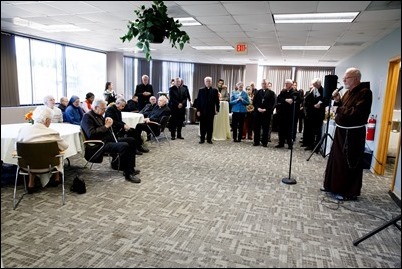 He was so gracious to us and would have a special audience with our General Chapter. 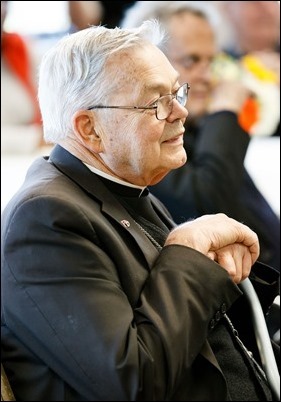 He always spoke with such affection of the friars that he was very close to when he was Archbishop of Milan. And, of course, Archbishop Romero was a friend of many years. 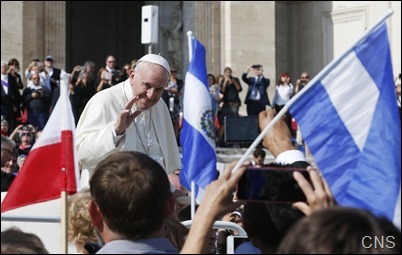 I worked for 20 years with the Salvadoran immigrants in Washington, and during that time I had a great deal of contact with Archbishop Romero. 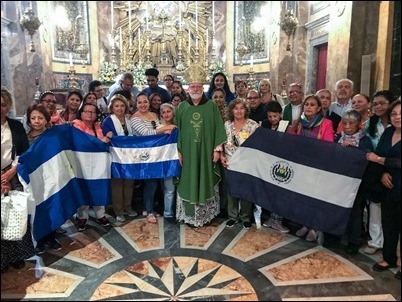 Of course, Archbishop Romero’s canonization was a great source of joy in the Salvadoran community, and about 6,000 Salvadorans went to Rome to be present for the canonization, including groups from Boston and Washington. 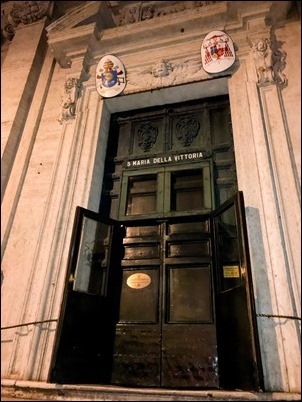 Saturday evening, I had a Mass with those from Boston and Washington at my titular church, Santa Maria Della Vittoria, Saturday night. 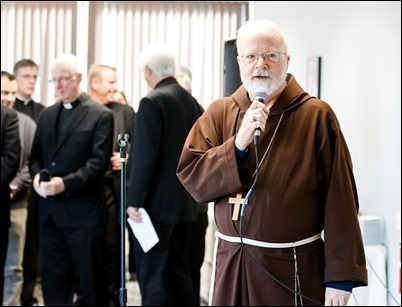 It was a very large, standing room only crowd and we were also very happy to be joined by a number of priests. 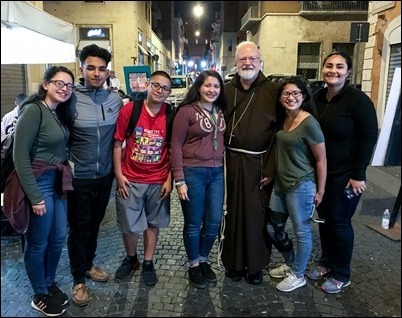 The day before, I had met the group of children of TPS holders from Somerville who were in Rome to meet with the Holy Father, and so I invited them to attend the Mass as well. 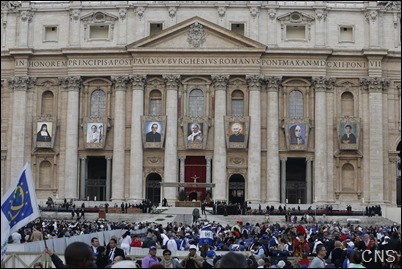 Sunday, of course, was the canonization ceremony itself. 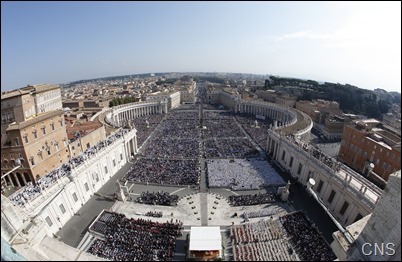 It was a glorious day and the crowd extended all the way down the Via della Conciliazione to the river. Again Jesus says: “Sell what you have and give to the poor.” The Lord does not discuss theories of poverty and wealth, but goes directly to life. He asks you to leave behind what weighs down your heart, to empty yourself of goods in order to make room for him, the only good. We cannot truly follow Jesus when we are laden down with things. Because if our hearts are crowded with goods, there will not be room for the Lord, who will become just one thing among the others. For this reason, wealth is dangerous and – says Jesus – even makes one’s salvation difficult. Not because God is stern, no! The problem is on our part: our having too much, our wanting too much suffocates our hearts and makes us incapable of loving. Therefore, Saint Paul writes that “the love of money is the root of all evils” (1 Tim 6:10). We see this where money is at the center, there is no room for God nor for man. This is how it was for the man, who – the Gospel tells us – “went away sorrowful” (v. 22). He was tied down to regulations of the law and to his many possessions; he had not given over his heart. Even though he had encountered Jesus and received his loving gaze, the man went away sad. Sadness is the proof of unfulfilled love, the sign of a lukewarm heart. On the other hand, a heart unburdened by possessions, that freely loves the Lord, always spreads joy, that joy for which there is so much need today. Pope Saint Paul VI wrote: “It is indeed in the midst of their distress that our fellow men need to know joy, to hear its song” (Gaudete in Domino, I). Today Jesus invites us to return to the source of joy, which is the encounter with him, the courageous choice to risk everything to follow him, the satisfaction of leaving something behind in order to embrace his way. The saints have traveled this path. Paul VI did too, after the example of the Apostle whose name he took. 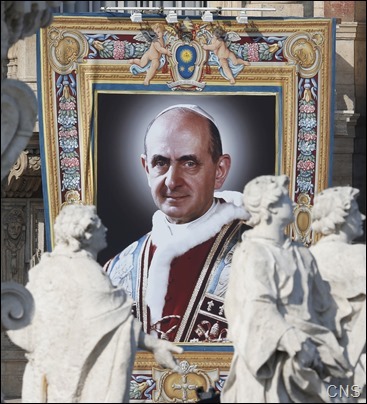 Like him, Paul VI spent his life for Christ’s Gospel, crossing new boundaries and becoming its witness in proclamation and in dialogue, a prophet of a Church turned outwards, looking to those far away and taking care of the poor. Even in the midst of tiredness and misunderstanding, Paul VI bore witness in a passionate way to the beauty and the joy of following Christ totally. Today he still urges us, together with the Council whose wise helmsman he was, to live our common vocation: the universal call to holiness. Not to half measures, but to holiness. 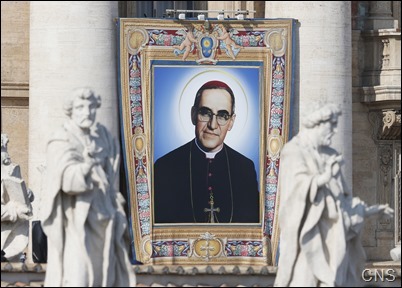 It is wonderful that together with him and the other new saints today, there is Archbishop Romero, who left the security of the world, even his own safety, in order to give his life according to the Gospel, close to the poor and to his people, with a heart drawn to Jesus and his brothers and sisters. 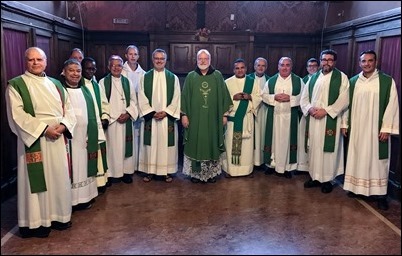 We can say the same about Francesco Spinelli, Vincenzo Romano, Maria Caterina Kasper, Nazaria Ignazia of Saint Teresa of Jesus, and our young boy from Naples, Nunzio Sulprizio. All these saints, in different contexts, put today’s word into practice in their lives, without lukewarmness, without calculation, with the passion to risk everything and to leave it all. 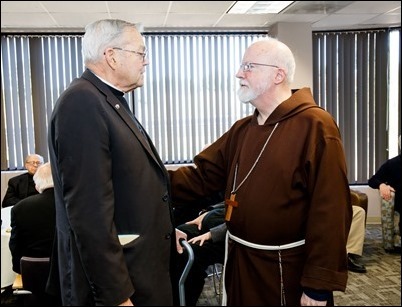 Following the canonization, I remained in Rome for meetings around child protection issues, but by Wednesday I was back in the archdiocese for our semi-annual meeting of the bishops of the Boston Province. This meeting is an opportunity for us to discuss issues of mutual concern and share updates on what is happening in our dioceses. This time, much of our discussion centered around preparation for the upcoming November meeting of the U.S. Conference of Catholic Bishops. 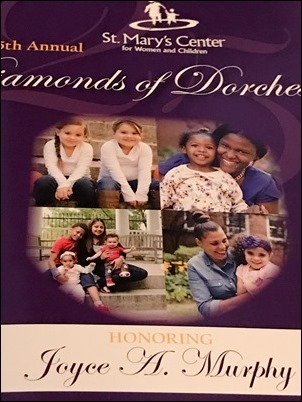 That evening, I attended the annual Diamonds of Dorchester Gala to benefit St. Mary’s Center for Women and Children. 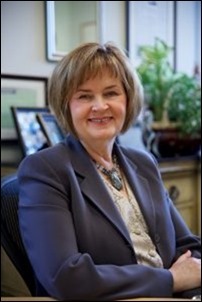 The center is celebrating its 25th year, and at this year’s gala, they honored their first president, Joyce Murphy. They presented her with the John M. Corcoran Award, named for the center’s late founding trustee, who worked very closely with Joyce to transform the old St. Margaret’s Hospital into the current center for homeless women and children. They have done just extraordinary work in job-training, acquiring housing and many other programs to help people break the cycles of poverty, abuse and addiction and realize their full potential. 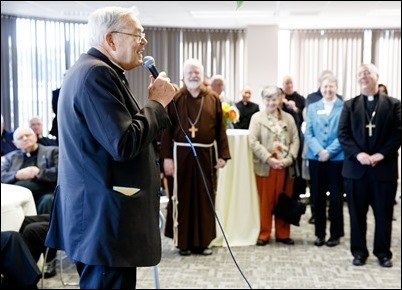 Those in the Boston area may recall that St. Mary’s Center received a $1 million matching grant from Amazon earlier this year and, during the evening, they announced that Amazon was also providing an additional $250,000 matching grant. 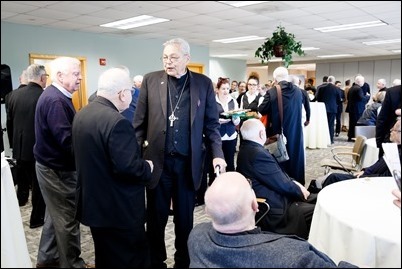 Thursday afternoon, at the Pastoral Center, we had a retirement reception for Bishop John Dooher, who recently concluded his service as bishop of the South Region of the archdiocese. 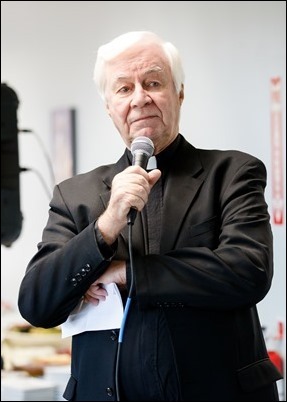 It was a lovely gathering attended by many of those who have worked or ministered with Bishop Dooher over the years. 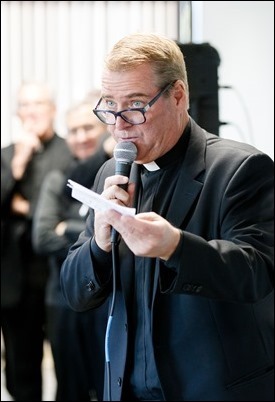 Different people offered remarks including his classmates, Msgr. George Carlson and Father Brian Flatley, and Father Chris Hickey, who spoke about working with him at St. Mary’s in Dedham. Of course, we also heard from the bishop himself. It was a great event that showed how much he is loved and appreciated. 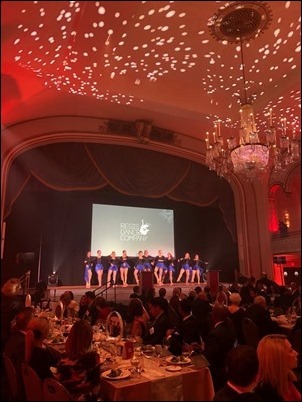 That evening, I attended Regis College’s Let It Shine annual fundraising gala held at the Park Plaza Hotel. During the evening, they honored Bill Mosakowski who, of course, is a huge benefactor of Catholic education at all levels. 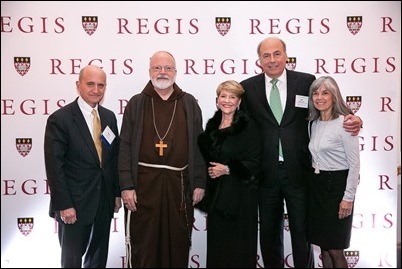 Regis College, which was founded by the Sisters of St. Joseph, has been so faithful to its mission of educating working-class and immigrant students, so I was very happy to lend my support to them. 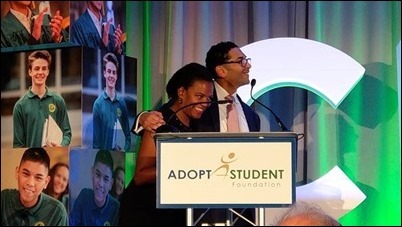 From there, I went to the Seaport Hotel for Cathedral High School’s annual Adopt-A-Student Foundation Dinner. There, they were honoring Linda Dorcena Forry, Vice President for Diversity Inclusion and Community Relations at Suffolk Construction, as well as Nancy Lane, who has worked for 31 years as a guidance counselor at Cathedral High. Nancy, who is a Cathedral High graduate herself, is much beloved by the students and works so hard to help them with the college application process. In fact, this was the 15th year in a row that Cathedral High had a 100 percent graduation rate, as well as a 100 percent rate of those graduates going on to college. This remarkable achievement is just another testimony to the impressive work they do at Cathedral High.